The number of pupils in England's secondary schools is set to rise by almost a fifth within the next decade. Government figures show there are expected to be around half a million more secondary age children by 2026. Overall pupil numbers are expected to increase by 654,000 (or 8.7%) to around 8.1m by 2026. In secondary schools alone, the overall population is projected to reach around 3.3m in 2026, a 19.1% increase or around 534,000 more pupils. This is the second year running that secondary school numbers have risen, the government report said. It added: "This is primarily because increased births from 2002 onwards means there are now larger numbers entering secondary schools at age 11 than are leaving them at age 16." Primary school numbers are projected to be around 100,000 higher in 2026. "Direct immigration of pupils born outside the UK has a very small effect on the school age population," the Department for Education report says. "However, the birth rate, which has a much larger effect, is in turn affected by any increase in the number of children born to non-UK born women (who overall tend to have higher fertility rates)." 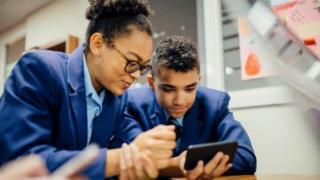 Geoff Barton, general secretary of the Association of School and College Leaders, said the pressure on secondary school places would be intense going forward. He added this meant decisions on new school building and expansions needed to be taken carefully and with local knowledge. He said: "There's huge urgency to this and we are all watching it closely."